Tents, campfires and long hikes come to mind when people think about camping. But there’s so much more to a camping trip than just picking a spot and pitching a tent. 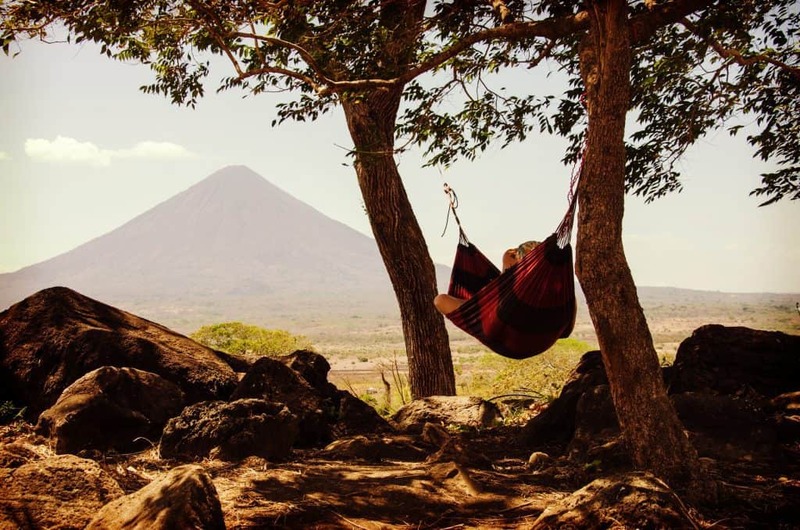 You’ll enjoy the experience much more if you read up on where to go, what to take and how to make the most of your camping trip once you’re there. Most of us live a life that’s wedded to electronics – phones, computers, games, and television. One of the good things about camping is that you have the opportunity to detox from all these demands on your time and attention. Multi-tasking has its good points, but it can also stress you out, and nature is a wonderful antidote. People get into the habit of feeling they should spend every minute being productive. Downtime is something that gets penciled in among other activities, subject to being postponed. One of the good things about camping is that relaxation is the main point of getting away from it all. Before we start preparing you for camping, let’s look at some of the reasons to go camping and what’s there to expect. Nah, it’s alright, just tell me how to camp already! Why Do People Go Camping? Why Are Some People Reluctant To Camp? There are many reasons that people go camping and, and it’s often a mixture of several things. Here’s our list of some of the top reasons that people like to camp. Oh, wait. 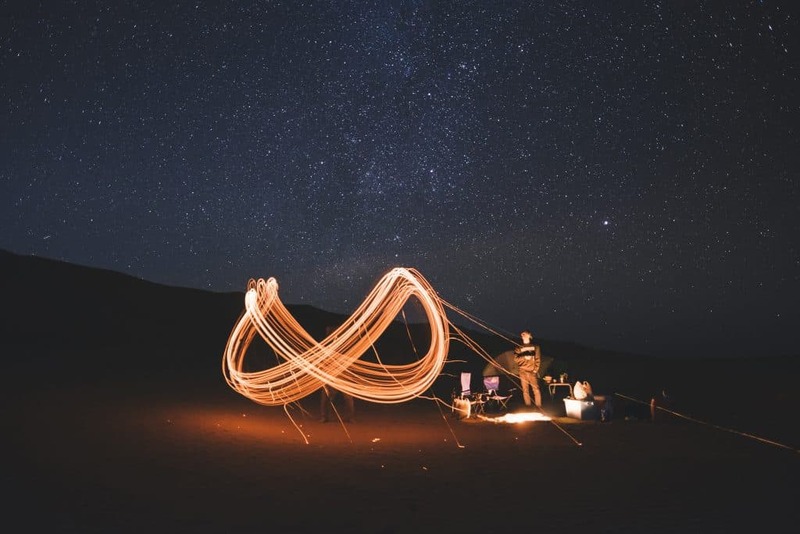 Before we start tempting you with the reasons to start camping, let us hook you in with a video by Hipcamp for some camping inspirations. 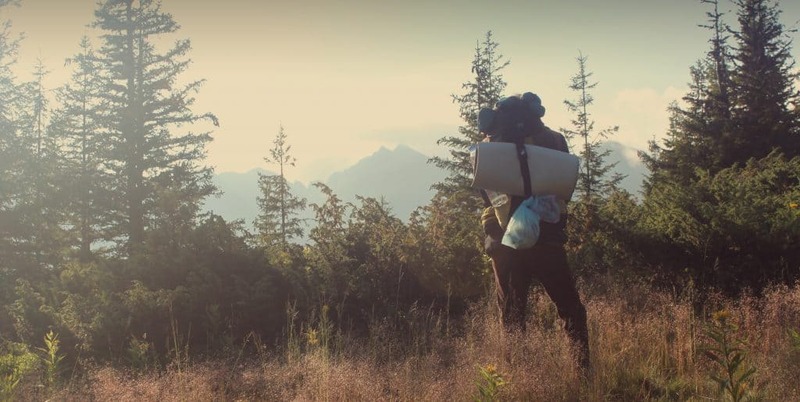 Hipcamp – "Find Yourself Outside" from Avocados and Coconuts on Vimeo. For many folks, one of the most enjoyable parts of life is socializing with family and friends. But it can be hard to get everyone together. Coordinating varied schedules, finding uninterrupted time, giving everyone a chance to connect with each other – it’s often a challenge. People go camping to find this quality time. On a camping trip, everyone is together for days. Spending sustained time with each other allows conversation to flow naturally. Ideas and topics that might have gotten overlooked or forgotten tend to bubble to the surface when there’s enough uninterrupted time. Camping can be a fun way to meet new people, too. Pitching your tent at a campground full of others is an opportunity to make new friends. You’re there for the same thing, getting away from it all, setting up camp and figuring out the best camping activities for your group. And if children are along, they have the chance to find playmates their own age at the surrounding campsites. Recreational vehicle trips are an especially handy type of camping if you want to meet other people. 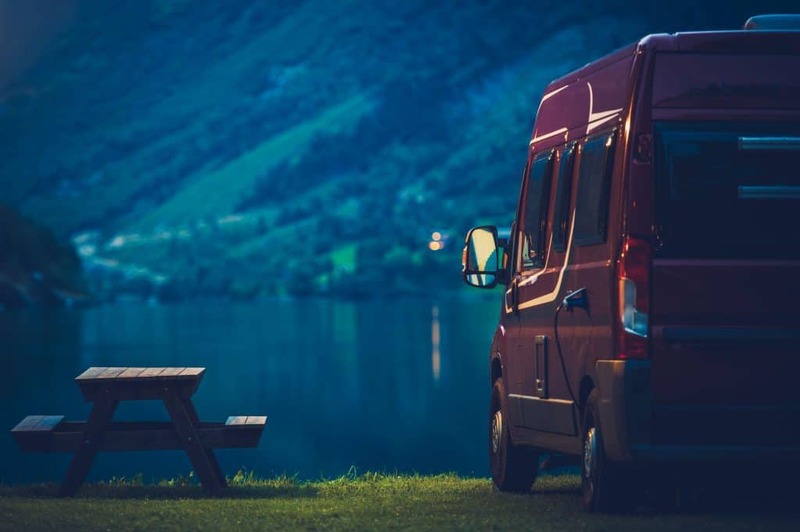 There are often RV camps set up at major festivals and events, and you already have something in common with the campers because of your shared interest in the event. 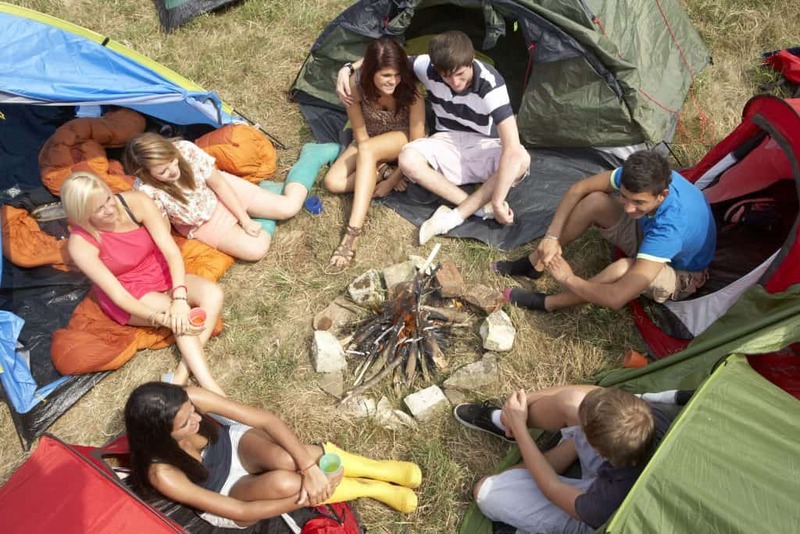 RV campers can become like an extended family, sharing food and supplies and bonding around campfires together. On the other hand, camping can be a quiet and soothing time away from civilization. Whether alone or with one or two others, some campers seek the chance to enjoy nature away from the crowds. 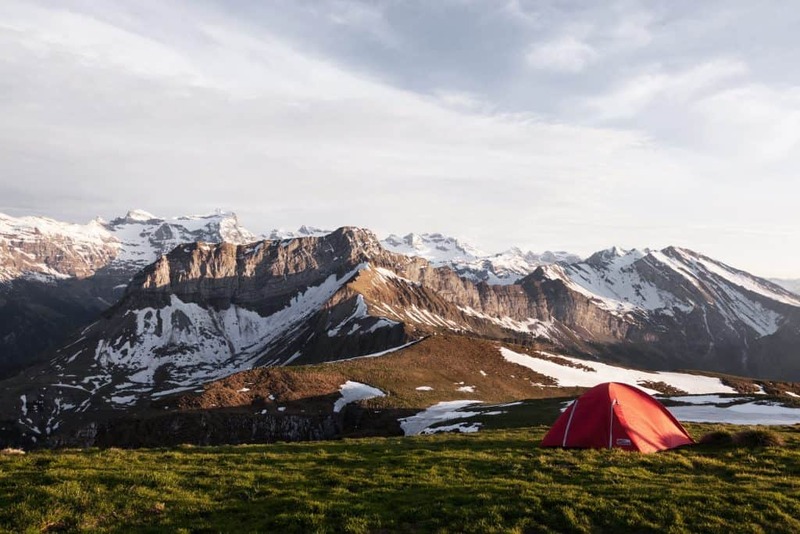 There are some types of campgrounds that have widely spaced campsites, allowing you to experience the outdoors as if your camp is the only one around for miles. Solitude is enhanced by an inspiring view like ocean waves or mountain peaks, but you don’t have to tent camp to fulfill the desire for a getaway. Staying in a mountain cabin can give you the same chance to reset your internal clock and think peaceful thoughts. Clearing your mind of daily cares and worries can make a healing difference in your mindset, wherever you choose to camp. We all need a break from the ubiquitous screens that are part of daily life. Looking at our computers, cell phones and TVs all day long can have detrimental effects, including poor sleep quality. Social media can become an addicting time drain that keeps us from getting exercise and developing social skills through face-to-face interactions. Dumping the electronics and enjoying the sights and sounds of nature can go a long way toward a “reset” of the mind. When days are filled with a flood of information, it doesn’t leave time for quiet introspection, something vital to a calm and peaceful mind. As we adults carry on with our busy lives, certain family members sometimes get less of our attention than others. What parent isn’t familiar with the refrain, “Watch me! Watch me!” from a child at play. And the unconditional love we get from our pets is boundless. It’s easier to provide quality time for them when you get away from cares and responsibilities. 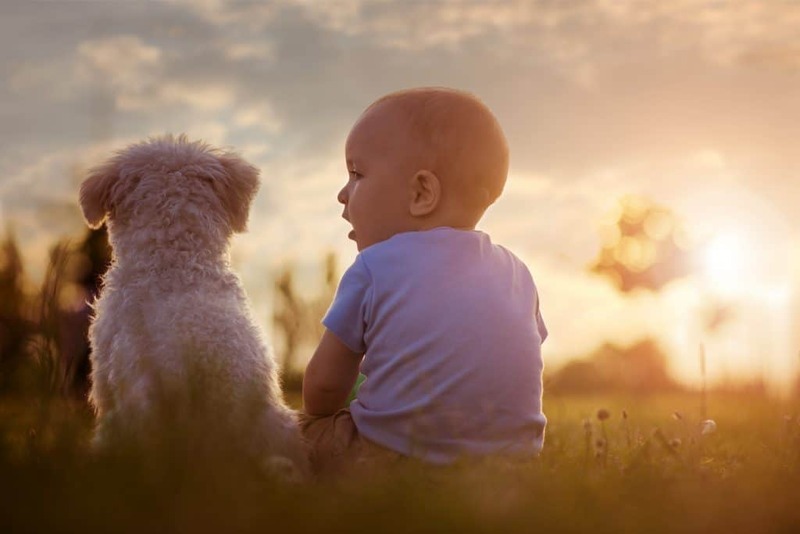 Having the time to lavish love and affection on our children and pets is one delightful perk of camping. Some folks avoid camping because they really don’t like to encounter bugs. We can just about guarantee that you’ll see bugs on a camping trip. After all, people go camping to experience nature, and insects are part of that. Most bugs and insects keep to themselves, but it’s true that certain stinging, biting kinds can be a royal pain. The answer to this aversion is to bring along plenty of bug spray and wear the right clothing for camping. Make sure that your tent screens are zipped up and that you’re covered up. Insect repellent that contains DEET will repel mosquitoes, ticks and other biting insects. DEET is a very strong chemical which can cause negative health effects, if you are going to apply the repellant, it is best to apply it on your clothing rather than directly on the skin. Just be aware that it can dissolve some fabrics such as rayon. NOTE: Commercial insect repellents are sometimes frowned upon because of the ingredients they used. For those who prefer natural solutions, consider using essential oils instead. 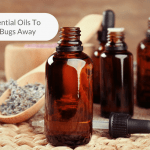 Although bugs are really annoying and can dampen someone’s mood during a camping trip, there are a lot of ways to keep them away. People who haven’t had much contact with animals, especially untamed ones, may be apprehensive about going on a camping trip in the wild. They may worry about being bitten by a snake or attacked by a bear. However, it’s very unlikely that either of these will happen if they take proper precautions. Animals generally stay away from campsites and groups of people. The only exception to this is when food is accessible to them. That’s why food supplies and garbage need to be double bagged and hung out of reach on tree branches. Some campgrounds provide bear-proof locked boxes for the same purpose. On the trail, most animals will stay far away from people as long as they hear them coming. Campers should never hike alone and they should make noise as they hike, especially when going around a bend with limited visibility. Thumping the ground with a walking stick from time to time, singing loudly and even talking will warn wild animals away before they can become a threat. For someone who’s never been camping before, it’s reasonable to worry about not being able to get a good night’s sleep while lying on the ground. The way to allay this fear is to explain to the potential camper the system for creating a comfortable and cozy tent, which we’ll describe below. Setting up a tent well and bringing along sleeping bags, blankets and pillows can make a bed in a tent seem almost as comfy as one at home. Some may anticipate that camping will be hard work. Moms, especially, may envision cooking for the family and cleaning up after everyone. For them, camping wouldn’t be that different from home, but with bugs and a tent. This is one good reason for the division of camping labor in a family. It should be understood ahead of time that everyone pulls their own weight. Having a plan and packing correctly will ease the load for everyone. Lists are an effective way to keep everyone in the camping party organized. Lists of food, clothing, gear and essentials help campers to remember the items they need to take for a successful and enjoyable trip. We’ll give you some tips about those basics so you can make your own list. For those who are new to camping, it can be a daunting leap to go camping far away from civilized life. 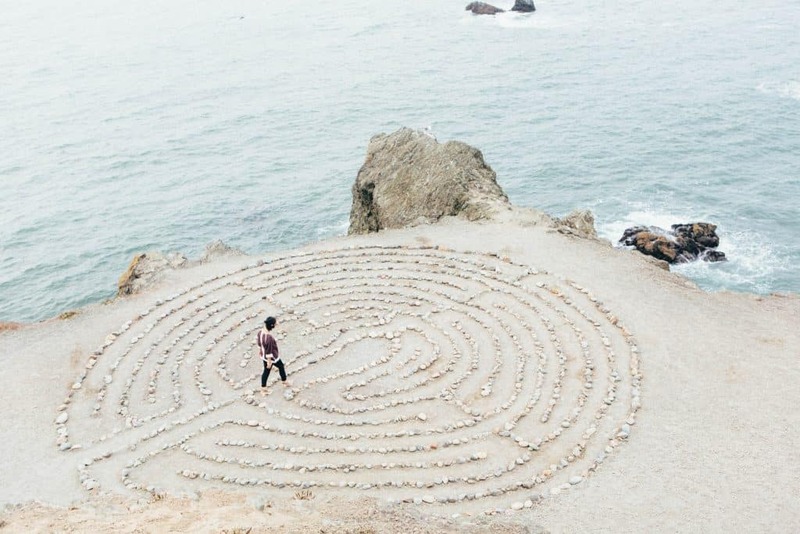 This anxiety is understandable, and it can be overcome. One way is to camp fairly close to home in an organized campground the first time. Before a group goes camping, they should write down the emergency phone numbers for the area and put them in a safe place. Charged cell phones should be brought along, and they can be turned off to conserve the batteries. A well-stocked first aid kit will also go a long way toward alleviating anxiety about being alone in the wilderness. Bandages, medicines, salves and pain killers are comforting to have around when you’re out of reach of a local clinic. A good first aid manual and a basic camping guidebook will also help a new camper feel less reluctant to try an adventure in the woods. For a lot of campers, after the first camping trip these worries melt away. One of the good things about camping is getting the chance to see the stars in the night sky unfiltered by city lights. It’s amazing how much brighter and more beautiful they are without the glare. That also makes it easier to pick out the constellations among the rest of the stars. If you have children, this is an opportunity to teach them about the stars and constellations. There are books for kids and adults that help campers recognize the star patterns in the night sky. If you don’t know much about the constellations, the family can learn together. Spotting a falling star with your kids will be a memory that lasts forever. 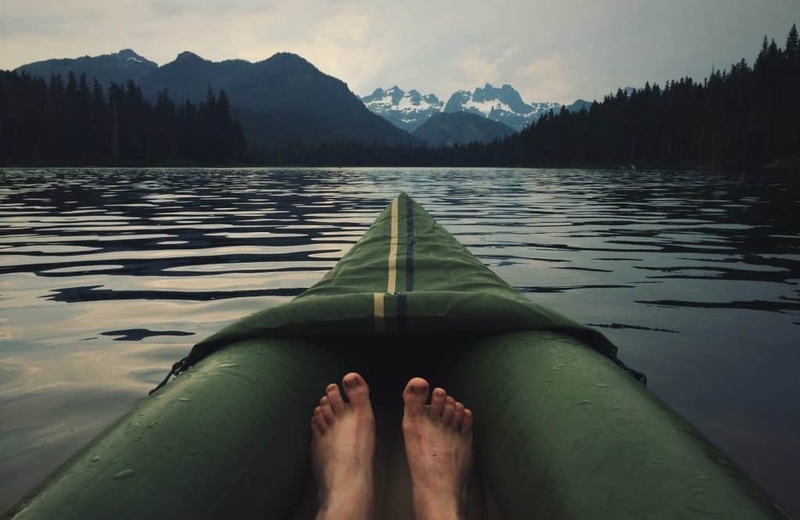 We’ve already talked about the peace of mind that comes from getting away from it all. Camp activities can give you a physical boost, too. Having fun while you’re getting exercise makes it go by fast, and you’ll be surprised at how much you work out those muscles! Camping out has a big food component, including cooking over the fire and sharing meals. Increased appetite helps add fuel for the extra physical effort you’re putting out. Spending time in the natural light of the sun gives you all kinds of benefits. Your body gets more vitamin D because of the sunlight on your skin. Camping can also lead to better sleep. Rising and sleeping according to the sun can help your body reset its internal clock and even cure insomnia. People who spend time in the sun report feeling more energetic. You’ll need that energy to make and break camp, hike, canoe and participate in other camping activities. Brushing up on your planning and outdoor skills can lead to a satisfying feeling of accomplishment. It takes skill to pick out the right clothes for camping, pack, put up a tent and follow all the other steps that make camping work. You have to bring food for camping that will satisfy everyone and stay fresh, build a fire that won’t smoke too much and will provide a good place for cooking, and basically ensure everyone’s comfort and security while camping. Some campers make a point of reaching for their personal best during each camping trip. Hiking farther, canoeing longer or making the best camp meals are worthy goals for the serial camper. Learning survival skills and teaching children how to be safe around the campfire and in the woods are other worthwhile goals of camping. This is the highlight of camping for many. Gathering twigs and branches, laying them out just right, and successfully creating the “perfect” campfire can be a lot of fun. Children can help gather the firewood and this is a teachable opportunity for parents. 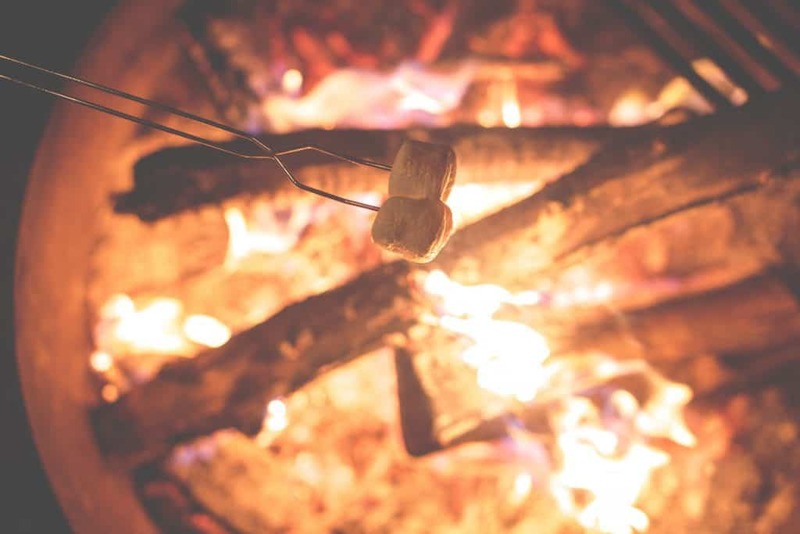 Sitting around the campfire is also a wonderful way to bond and share fellowship with family and friends. Cooking over a campfire can be a challenge, but it can also be rewarding and fun. Wire racks made especially for camp cooking make it a lot easier. You can buy a set of camp cookware that’s specially made for cooking over the fire, and the pieces fit together to take up as little room as possible. Stainless steel cookware is best because it’s lightweight and doesn’t rust. When people are in an unhurried setting like a campsite, it’s easier to share what’s on their minds. There’s little else like camping to help people stay focused and connected during their time together. Just doing something different is good for your mental state. When you combine it with accomplishing tasks, seeing new things and spending quality time with those you care about, it’s even better. The mental health benefits that adults get from camping are even more pronounced in children. Research suggests that children who go camping regularly are healthier and happier. This could be partly because of the chance to develop independence and confidence in them. It can be a rewarding experience for parents to introduce their children to the wonders of nature. Going on a camping trip can be an economical way to visit places far from home. There are campsites all over our country and in other countries as well. Staying at a campground or RV park is an alternative to paying for a hotel when the cost is out of range. You get the benefits of camping along with a chance to go see the sights of the locale you choose. If you have a campsite, you don’t have to eat every meal out and that’s a major travel saving. Admission to campgrounds is often lower if you stay during weekdays. Camping out of season is another alternative since campsites across the U.S. have different fees depending on the time of year. There’s not much difference in camping just before or right after the prime season, but the rates are better. There are many ways to camp and several types of places available for camping. Sometimes, camping revolves around seeing majestic mountains or a beautiful lake. Camping can take place in the middle of the woods, with the trees and animals as the only surroundings. And sometimes, local campgrounds have prepared camping spots with electrical hookups and running water. Tent camping is what comes to mind when most people think about camping. 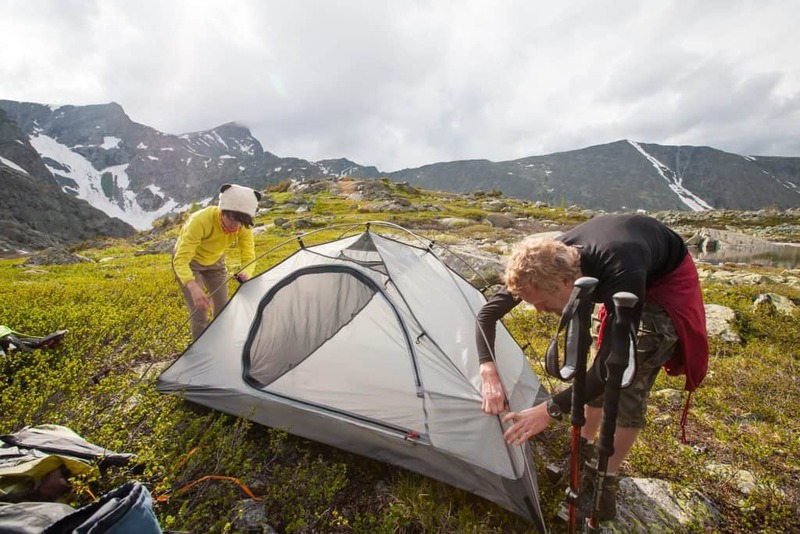 If you’ve never bought a tent before, keep in mind that bigger isn’t necessarily better. It’s a good idea to research the feedback about various tent options online before buying one of your own. It’s better to start with a modest-sized tent and eventually move up to a larger one if you need it, once you’ve gotten the knack of setup and breakdown. Kids get a kick out of having a tent of their own, and if you have children over twelve years old this is a fun option. It’s exciting for them and gives mom and dad a bit of extra room to change clothes and talk privately. 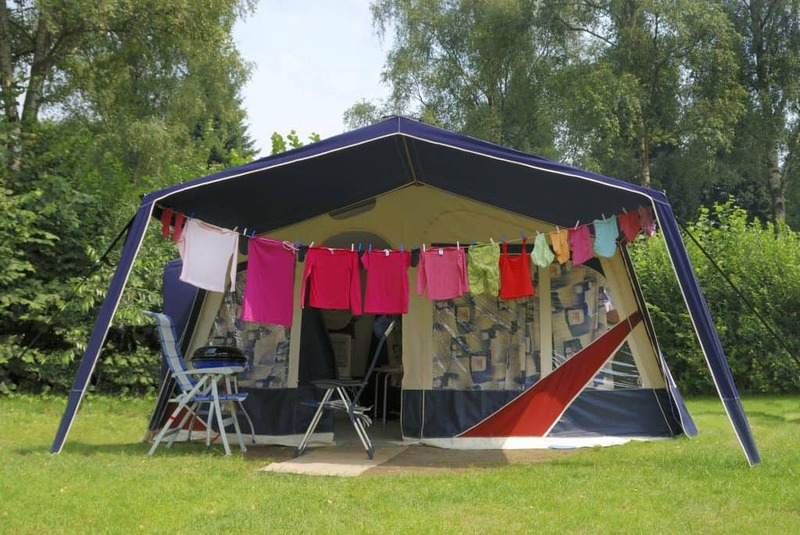 If the weather is warm, a fan for the tent can make a real difference in the comfort level. If you’re camping in cold weather, bundling up with warm clothing and sleeping bags is the best way to keep warm, since having a heater inside a tent is generally considered to be unsafe. It’s better to start with a tent that’s rated for the winter cold and take a hot water bottle to bed with you to warm up at night. You can also heat stones in the fire, wrap them well and pre-heat your sleeping bag with them. RV camping is a step up from tent camping. With this option, you have a kitchenette, so you don’t have to cook over a campfire unless you want to. There are no worries about your tent blowing over in a storm, and climate control is a lot easier. And as plush as some sleeping bags are, there’s nothing more comfortable than sleeping in a real bed at night. It’s also a nice touch to be able to take a shower or use the restroom in your own camper instead of trekking to the nearest camp facilities. There’s better lighting in an RV and a kitchen table to play cards and games on while sitting in comfort. You do have to empty and refill the tanks on your motor home after a camping trip and give it a good washing. But that’s not much more arduous than cleaning and folding a tent and sleeping bags. The next step up the rung of luxurious camping is the all-inclusive campground with showers, pool and even a general store. One of the best-known camps of this type is the Kampgrounds of America franchise (KOA). 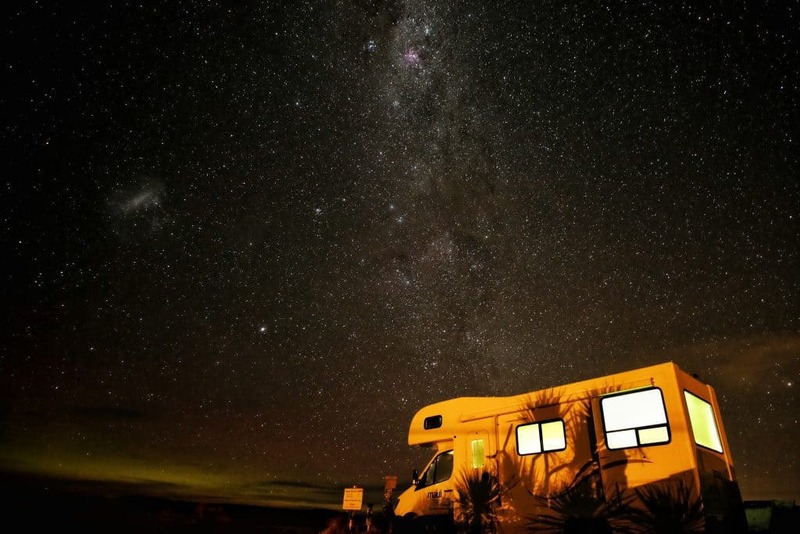 This type of camping is convenient for travelers who take their RVs across the country from one destination to another. It’s a less expensive alternative to staying in a hotel or motel. This is the perfect setting for people with the same things in common to hang out together for a fun camping experience. Everyone there owns or rents a motor home, and children can play together at the playground and pool. People have a chance to meet when they stock up on a few necessities at the camp store. These types of campgrounds also have pumping facilities for motor homes, and just about everything an RV camper needs. Is it still camping if you stay in a cabin? Of course! You still bring your own food for camping, you participate in camp activities and your family enjoys togetherness in the midst of natural surroundings. It’s pretty darn nice to have a real bathroom and shower, not to mention a full kitchen. And most mountain and forest cabins have front porches with a rocking chair or two for gathering outdoors in the evening. The choices of fresh foods and cold drinks can’t be beaten when you have more than just an ice chest or a mini-fridge to store them in. There’s also a lot of comfort in being able to prop a pillow under your head and read on the sofa. You can still hike, swim, canoe or whatever activities you choose. The difference will be having all the comforts of home at the end of the day’s activities. Okay, We see you have read this far, now is the real meat of this topic. Let’s start by equipping you with some camping terminology. For your initial camping trip, it’s best to stay at a location near home. In preparation for camping, the first thing you’ll do is answer the questions “where” and “when”. Research campgrounds in the area that you want to visit, and determine the best time of year for a vacation there. Find out what the camp policies are about pets, children and length of stay. What kind of bath facilities do they have? Are there marked trails? How close together are the campsites? The answers to these questions will help determine the best campground for your needs. Next, be sure and bring along health information on every member of the camping party, including a list of medications and enough medicine to last a few days longer than you plan to be gone. Make sure to remember eyeglasses and contacts, and bring spares if possible. Finally, check the weather forecast before you go to make sure that extreme conditions aren’t predicted. 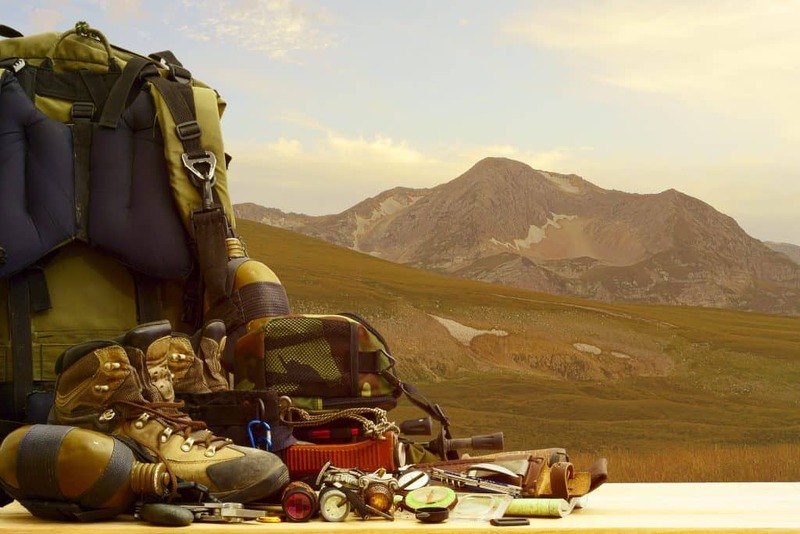 Once you’ve taken care of these things, the rest of the preparations involve food, clothing and gear. You’ll want to take along a lot of food that keeps well without refrigeration, and it’s surprising how many different tasty meals you can create if you choose the right non-perishable ingredients. One breakfast favorite is peanut butter and banana sandwiches. They’re sweet, savory and pack enough protein to give you energy for your daily camping adventures. Powdered milk is another camping staple, as you can make pancakes, omelets, bread and other dishes with it. Other non-perishable staples are pasta, grain, and bread. Bannock bread is a camping treat because you can cook it over the fire and enjoy warm, crusty fresh bread. Dry ingredients can be packed into a plastic zipper bag until ready to use. All you have to do is add oil or butter and let it rise for thirty minutes. Then comes the fun part, as you wrap the dough around sticks and cook it over the fire. It can also be fried in a skillet if you prefer it that way. When packing food for your camping trip, leave the sugary cereal at home. It fills you up and gives you an energy boost only in the short-term. It’s better to have oatmeal with raisins because that keeps you from getting hungry again as quickly and prevents a “sugar crash”. That’s the lack of energy that kicks in once a high carb cereal is metabolized. 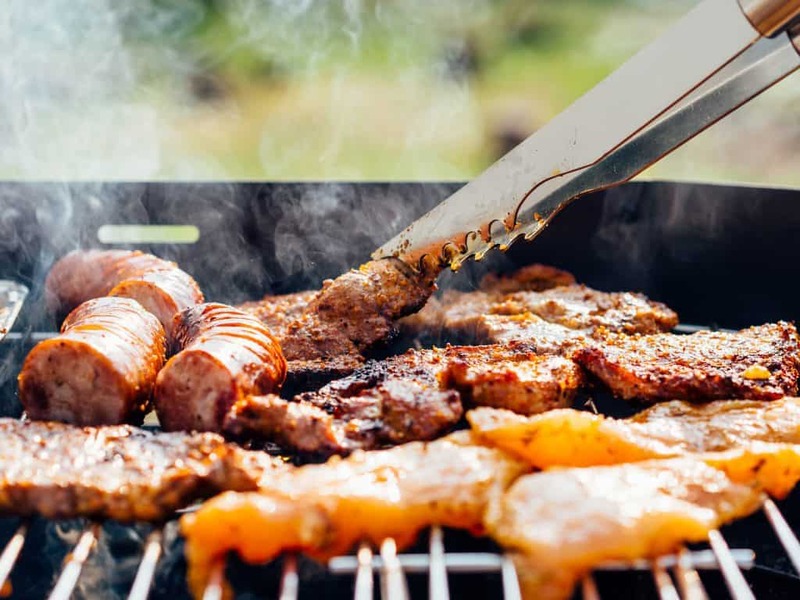 It’s possible to eat well while camping and one way to make sure that you do is to bring along the little extras that add flavor to your meals. Start with your favorite oil for cooking, and bring along Dijon mustard and a selection of herbs and spices. Sun-dried tomatoes also pack well and add a piquant flavor to many dishes. Did you know that eggs are in the non-perishable category? This only applies to eggs fresh from the farm, however. When an egg hasn’t been washed, it has a thin layer called a cuticle that protects it from bacteria and keeps it from drying out. Farm fresh eggs that are stored at room temperature should be used within seven to ten days after they’re laid. If you buy fresh, non-pasteurized eggs, they’ll last for your entire camping trip. Cheese is another delicious staple food to take camping, and it keeps well without refrigeration. The key here is to bring along a hard cheese liked aged cheddar. Cheese that has a low moisture content won’t melt or become runny at room temperature. Hard cheddar and Swiss cheeses are good choices for camping. Together with your pasta and seasonings, you can make a mean pot of macaroni and cheese for dinner! Meat should be packed on ice in coolers and eaten within the first couple of days of camping. An exception is hard sausage which will keep for days until it’s opened and for a couple of days afterward. Sausage and bannock biscuits are a delicious option for breakfast. Canned tuna, salmon and chicken don’t take up a lot of room and they can add variety to your meals. While mayonnaise for tuna or chicken salad doesn’t need to be refrigerated, it’s vital to use a clean utensil each time you scoop some out of the jar to keep it from becoming contaminated. The safest way to bring it along for camping is to portion it into plastic zip bags ahead of time or buy it in packets. Syrup and jam will keep well unrefrigerated, and they add variety and flavor to meals. Fresh fruits that travel well are apples, grapes, oranges and melons. When packing food for camping, store the grapes in a plastic food container to keep them from being crushed. Carrots, cucumbers, radishes and peppers also keep for days and will add flavor to your meals. Carrot sticks are handy snacks for carrying in a backpack while hiking, along with nuts and hard cheeses. Trail mix is another handy snack, and you can make it ahead of time to your own taste. Hard cookies like ginger snaps and animal crackers will give campers a boost without a sugar overload. Cereal bars are also popular, especially on the hiking trail. Beef jerky is a high-protein snack, and popcorn can be made fresh and carried in a backpack as a lightweight treat. Water is the number one beverage to drink while camping. 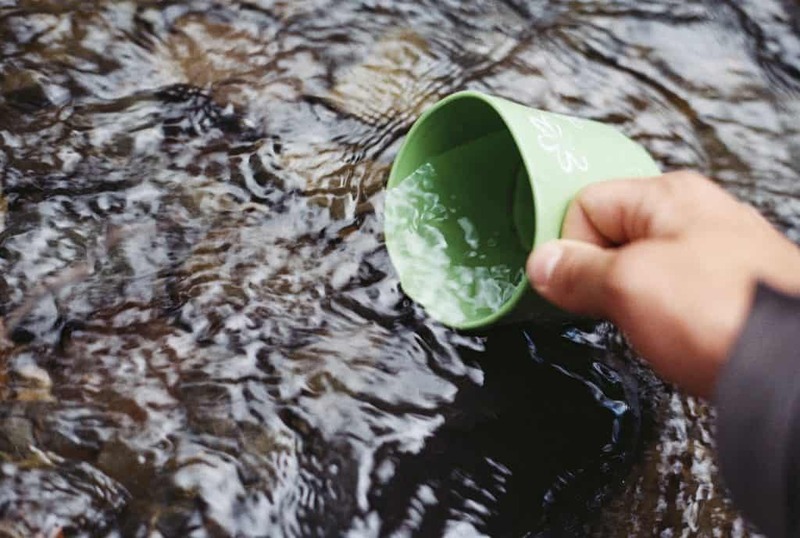 If your campsite doesn’t have fresh water available, be sure and bring along plenty to last for the entire trip. A rule of thumb is to bring a gallon of water per person for each day of camping. And don’t forget to bring water bottles and carry them with you when you hike. Sports drinks are helpful if your camping trip is going to be active since they replenish salt and electrolytes in the body. Instead of packing bulky bottles of energy drinks, you can buy dry packets to make a bottle or a quart at a time. If you bring alcoholic beverages, make sure to buy them in cans or plastic bottles. With all the jostling of a campsite, glass has a greater chance of breaking. The clothing that you pack for camping serves many functions, not the least of which is to keep you cool, warm or dry. Clothes for camping can also protect you from scrapes and insect stings, and keep the harsh rays of the sun from burning your skin. Often, camping includes hot and chilly weather, depending on the time of day, wind and humidity. When the temperature is hot but you still need to cover exposed skin, there are options that will help. Cotton retains moisture, so quick-drying materials like polyester and nylon are better for camping and hiking. Mesh provides ventilation in hats and jackets, and leggings are cooler than denim but still protect your legs from sunburn and scrapes. Layering your clothing is the best way to be prepared for the elements. Start with an undershirt that wicks water away from the skin, and layer with a lightweight shirt on top. If the weather is chilly, wear a water-resistant vented jacket. If you don’t need it, roll it up and include it in your pack. You never know if it will get windy or a rain shower will occur. For camping in wintry weather, you’ll also want to bring rain pants, a heavy jacket, an insulated hat, heavy gloves and waterproof mitts to go over the gloves. In any type of weather, it’s a good idea to put one set of clothing aside just for wearing at camp. While you’re cutting wood, making a fire and hauling gear around, you’ll need a sturdy set of camp clothing that won’t easily rip or tear. Another advantage is that you won’t carry cooking smells with you on the trail, possibly attracting bears. Whatever you do, though, don’t keep your camp clothing in the tent. Store it in the car or hang it from a tree in a watertight bag. The last thing you want to do is attract critters of any kind to your sleeping quarters! If you’re tent camping, spread a tarp a few inches smaller than the footprint of your tent before you set it up, as a barrier to moisture and cold. Also, make sure your tent has a fly or tarp over the entrance to keep any rain from blowing inside. Bringing along an extra waterproof tarp or two is one of the best things you can do to cover all your bases with camping gear. Before you start filling the tent up with sleeping bags and camping gear, lay an old blanket down, and then a foam sleeping pad. This will make a world of difference for your comfort. A blanket will absorb any dampness and provide a layer of insulation, while a foam pad makes sleeping more comfortable. Even when you’re just lounging around in the tent, you don’t want to be a few millimeters away from the cold, hard ground! If you’re going full minimalist and just want to use a tarp to camp, check out our recommended list of tarps to get you started. Make sure you have enough lighting for your camping trip. Two or three battery-powered lanterns and several flashlights with extra batteries should do it. If possible, hang one of the lanterns from the inside ceiling of the tent to provide the most illumination. If kids are along, each one should have their own flashlight that they keep with them at night. For hiking any distance, and especially on steep grades, a hiking stick is a valuable piece of camping gear. You can find lightweight, collapsible metal alloy hiking sticks online for a reasonable price. Of course, you can also make your own by cutting and sanding a slender tree branch at home before you leave for the trip. You can’t always find enough dry twigs and wood to start a campfire, so be sure and bring some along with you. Tightly rolled newspapers tied with hemp rope are excellent homemade fire starters. If you’re going to cook over the fire, bring a set of nesting cooking pots and bowls and long-handled metal utensils. Don’t forget to bring eating utensils, too. Duct tape is a miracle tool to have when camping, so be sure and bring a roll or two. You can use it to mend rips in the tent, clothing and even shoes. If someone gets a sprained finger, duct tape wrapped around a popsicle stick makes a waterproof splint. Large, 30-gallon black trash bags are also quite helpful to have around. They’ll keep your equipment dry when it’s not being used, and you can even make one into an extra rain poncho. They’re also useful for hanging food and garbage from tree branches to keep it away from animals. If you’re doing a car camping trip, you can consider bringing these items to have a care free trip. Having to set up a tent in the rain isn’t a terribly fun activity. As a matter of fact, if you’re going to do it, then you get lots of points for not letting the rain get you down! 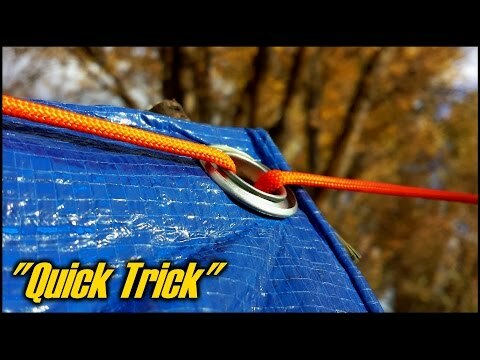 One seasoned camper’s tip is to string a tarp between some trees and set up under its shelter. If you decide to move the tent to a better spot once the rain lets up, the tarp can stay as a shelter for your food preparation site. 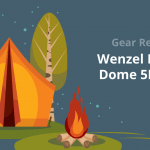 Take a few minutes to scout the area before erecting the tent, and choose a spot wisely. You’ll want a flat or slightly sloped site on higher ground than the surrounding area. Once you’ve set up your tent in the rain, you’ll be soaking wet yourself. This is the best time to go ahead and do any outside chores that are needed, like filling water bottles or setting up camp equipment. Once you’ve done everything you can to set up camp despite the rain, crouch under the fly by the tent opening and remove all of your wet clothing and shoes before crawling into the tent. 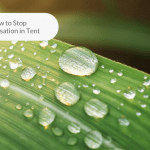 You don’t want to get the inside of the tent wet because it will become damp and clammy, especially in warm weather. 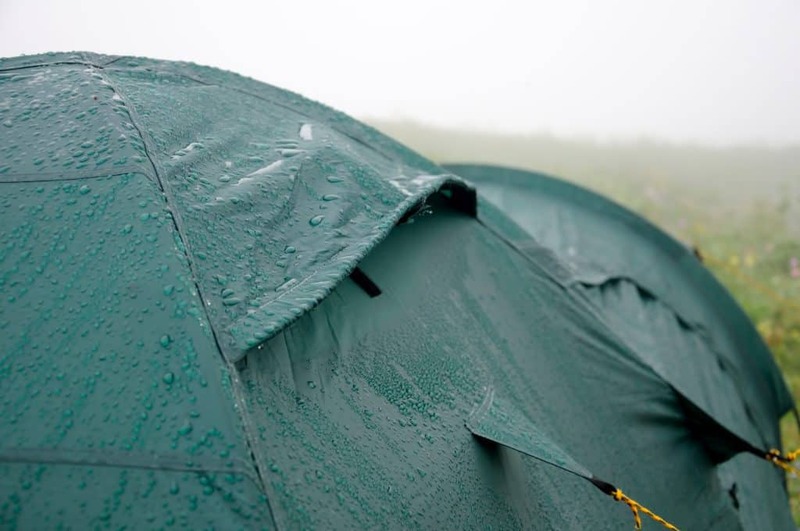 Open all the tent vents to ensure air flow, and stay away from the tent walls, which will be damp from the rain. Setting up camp in the rain is much easier if you’re car camping because a lot of the gear can stay dry in the car until you’re ready for it. When the rainfall gets lighter, bring what you need into the tent as quickly as possible. When you have to leave the tent, check the lines to make sure they’re still tight. This is also a good time to push any loosening stakes down into the ground with your foot. Before bringing your tent out, you might want to test that your tent is still waterproof by wetting it with a garden hose and check if any water leaked inside. You can use a waterproof tent spray to renew the waterproof layer. The right camping rain gear is a necessity for when it pours. Rain galoshes with a good tread are a lot more comfortable than soaked sneakers if you’re hiking in the rain. You can find expandable rain ponchos that will cover both your clothing and your pack, and they’re available in adult and children’s sizes. Make sure to purchase quality rain gear because it will make all the difference in a deluge. Good rain suits and ponchos have openings for ventilation and for reaching into your pockets without getting soaked. A hood should have a brim that will divert water from your face. You can still have fun on a camping trip, even if it rains the whole time. As long as there’s no lightening, hiking in the rain can be enjoyable. Just be sure and bring along the hiking sticks in case you encounter slippery slopes. If water activities are included in your plans, they can be just as fun, rain or shine. During a thunderstorm, you and your fellow campers can still enjoy yourselves inside the tent. Since you’ve taken all the recommended steps regarding padding and ventilation, your tent should be a cozy hideaway while you wait for the storm to abate. This is the time to play games, read or enjoy intimate conversation. Or you could take a long, relaxing nap while listening to the sound of the rain on the tent roof. Check out our article on the board games you can consider bringing to your next camping trip. There are so many fun and relaxing activities to do while camping. They mostly fall under the headings of family time, exploring, physical activity, relaxation, cooking and games. Here’s our collection of the best of them. Families that camp together find they have more quality time to spend with each other than when they’re at home. One reason is that when a family camps, everyone works side-by-side to set up, maintain and break down the campsite. This is a chance to encourage independence in children and an opportunity for everyone to learn new things. It’s also a good recipe for family togetherness. No matter how many times you go camping, there are new things to observe and experience. Hiking is a chance to explore, and even climbing a tree or wading in a stream turns up unexpected pleasures. Bringing along a couple of pairs of binoculars can turn any hike into a birdwatching trip. Binoculars are also good for seeing things up close that might have been missed. Many camp activities involve physical exercise, both on and off the water. Making and breaking camp and setting up a campfire are strenuous and rewarding activities. Swimming, canoeing and kayaking are the types of activities that are so much fun people don’t realize how much energy they’re expending. Camping close to water also opens up the possibility of fishing and even having the catch for dinner. Going on a nature walk close to camp is a way to closely observe a natural setting without carrying a pack or setting a hiking pace. Just sitting still in camp and being observant can also provide quiet entertainment, as the wildlife settles back into a normal routine. 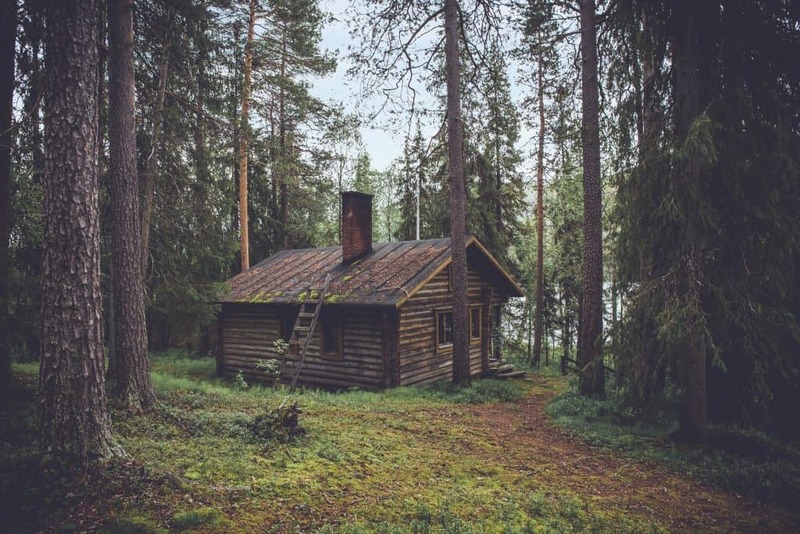 The sounds and smells of being in the woods are also worth savoring, and there’s something about the fresh air that makes a nap even more relaxing. There are lots of games that are fun to play on a camping trip. A deck of cards or two will add many choices, and playing charades is even more interesting when you’re mimicking what you’ve seen on the trail. Board games are also a good addition, especially if it rains. At the end of the day, campers gather around the fire for its warmth and light. A lot of the fun of camping takes place around the campfire. Singing songs is a camping tradition, and it’s the perfect place to tell stories. Making a meal over the campfire deserves its own category. Roasting food on a stick is a fun and out of the ordinary treat for both kids and adults. Weenie roasts are easy and each person can prepare their own, making dinner a shared activity. And who hasn’t heard of s’mores, those gooey chocolate, marshmallow and graham cracker campfire treats? It’s exciting for many people when they get to cook and eat fish that they’ve caught themselves. And it’s fun to try campfire recipes like vegetables wrapped in foil or campfire macaroni and cheese. You can even make quick bread over a fire, either in a pan or on a stick. 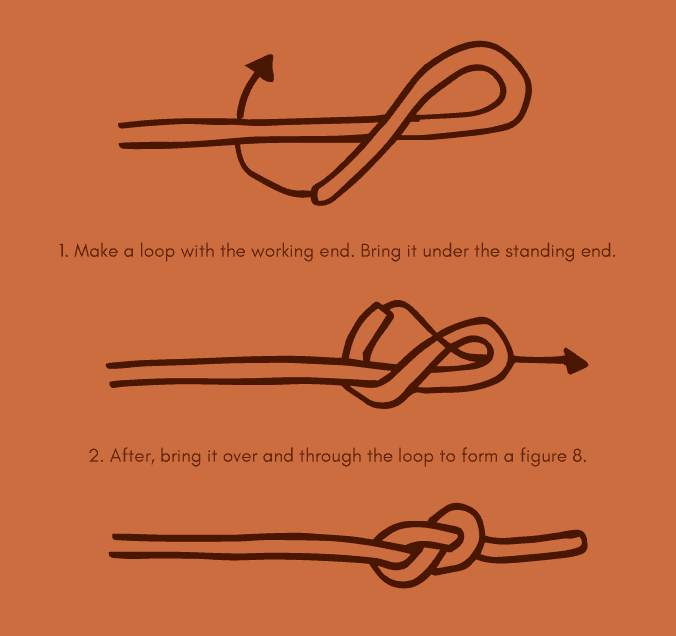 If there’s one thing that makes a person look and feel super accomplished and ‘Bear Grylls’ when camping, it is the ability to create useful knots. There’s a good reason for this, they’re always super handy! From creating washing lines to creating your own hoist system, knots can turn any line into a fantastic tool, enhancing your camping experience overall. Standing end: The portion of the rope that is not actively worked on, or is free. 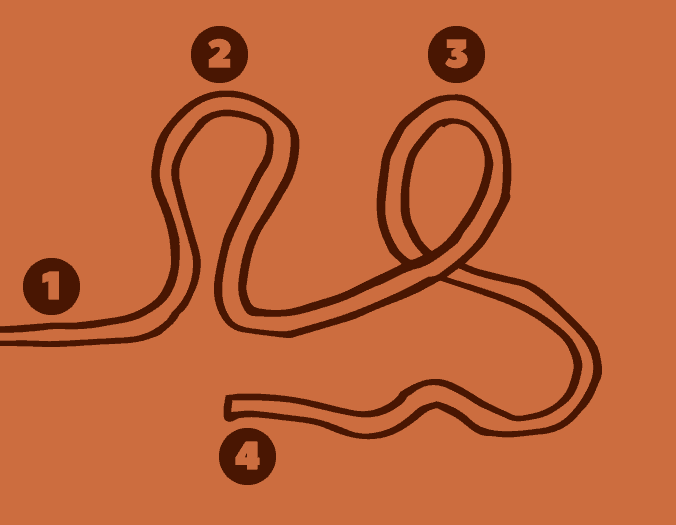 Bight: A curve that folds the rope into two parts without the ends crossing each other. Loop: A circle that is formed when crossing the two ends. Working end: The portion of the rope that is being worked on, or is used to tie the knot. What makes the Taut Line Hitch great? 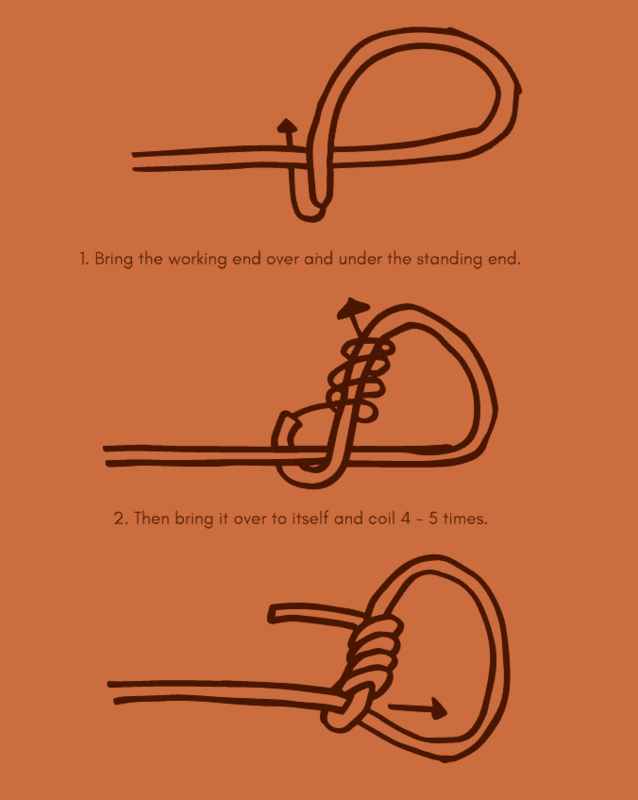 The taut line hitch knot is an all-purpose knot that you should really get to know because it is so versatile and so useful in tons of camping applications. You can use the knot to add or remove tension on any fastened line without undoing and redoing the knot so there’s no need to mess around with load bearing lines. It is definitely a knot to rely on, in fact, it is so reliable for securing lines it was used by astronauts on the Discovery shuttle to help them take out repairs. Take a look at the different knot variations and their applications so you can use the best type of knot for your situation. What makes the Bowline knot great? 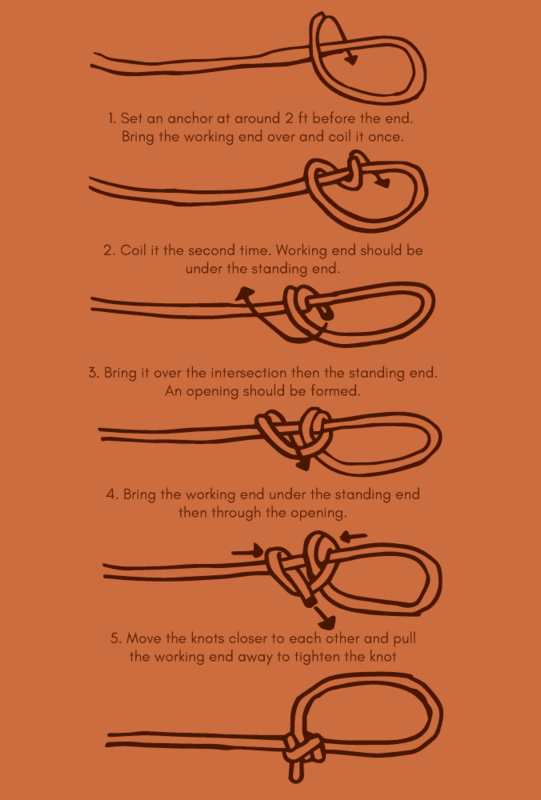 The king of knots is very simple and easy to tie and untie when the rope is slack which makes it really accessible and easy to practise before you put it to use. You should also expect the bowline to be extremely dependable for staying secure when the line is bearing a load. This knot is not strong without a load. To make the most of it, use it in applications where the line using the bowline knot will be load bearing. Why makes the Reef knot great? 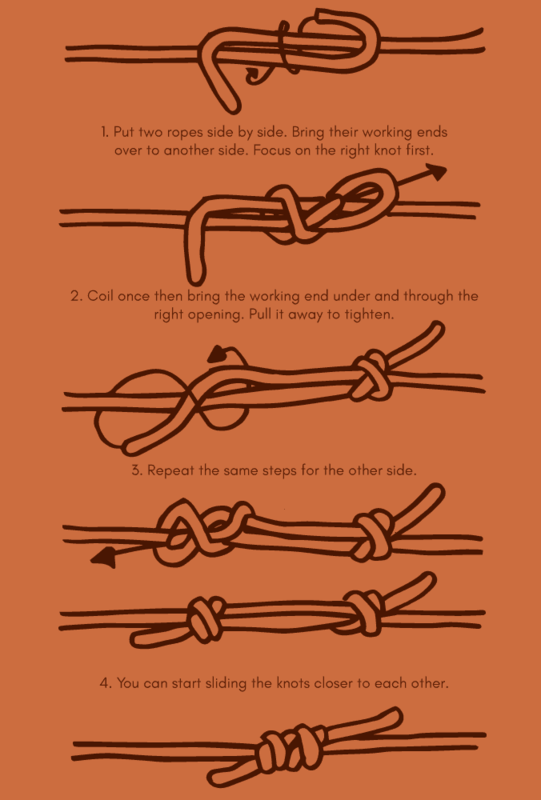 If you were to make best friends with a knot (hey, camping can get kinda lonely) then this knot would be your ‘flaky friend’. Admittedly the reef knot is not the most secure knot, or reliable knot, but it is a useful knot for simple applications and is handy for less ‘important’ uses such as tidying up two ends of line. It’s your once a month ‘beer and football’ buddy from work kinda knot. Good to know but, not to depend on. Only use this type of knot in simple applications, ideally where the knot is pressing up against something. What makes the Timber Hitch great? If you’re big on forest camping then you’ll love this handy knot because it is designed to fit securely around a cylindrical object. The knot is trusty and reliable, and particularly useful for campers who love to have an established camping setup connected to the trees and bushes in the area. The knot gets stronger the more tension is put on it, so make sure you utilise your load for extra security. What makes the Alpine Butterfly knot great? You will find that the alpine butterfly knot is really useful in camping situations where the ends of your rope can’t be reached. It essentially makes more use of a rope that is already tethered, creating higher line versatility and practicality in various situations. Using your hand to form the knot is easier than laying the rope out on a surface. What makes the Double Fisherman’s knot great? 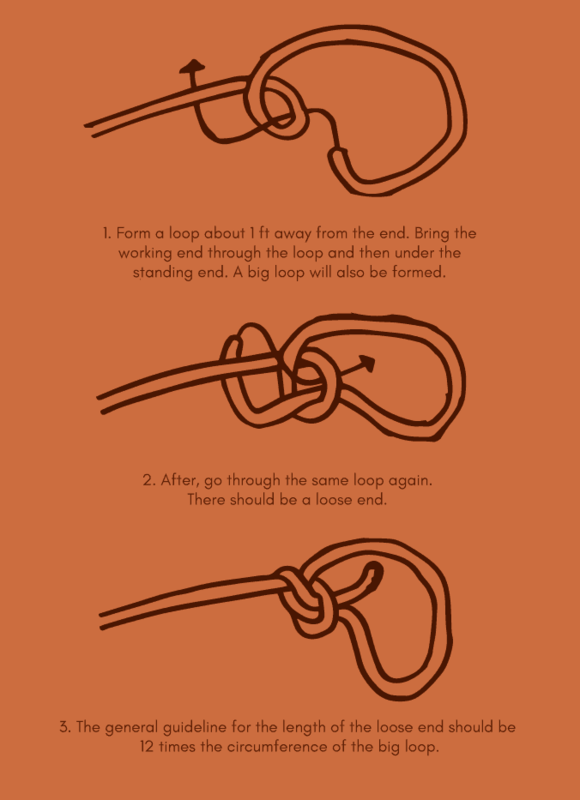 You’ll find that the double fisherman’s knot is very easy to tie and has an abundance of use when camping. It is definitely one to have under your belt as a trusty knot. If you had knots at your wedding (who doesn’t?! ), the double fisherman’s knot would not just be a groomsman but he one who keeps the ring safe. The knot is extremely safe and reliable, so you can trust it to remain strong, particularly when tension is applied in the direction of the rope or ropes used. Use strong 6mm or thicker cord when using this type of knot for grab handles. What makes the Figure Eight knot great? If you get annoyed by knots that seemingly waste rope because they need to be cut after jamming, you’ll like the figure eight knot. It is super simple and super easy to tie and is easier to untie after bearing a weight than comparable knots which can need to be cut because of jamming. It is likely the easiest stopper knot to do and comes in handy in a multitude of situations. Use this knot if you want a knot that is easy to visually check for security. 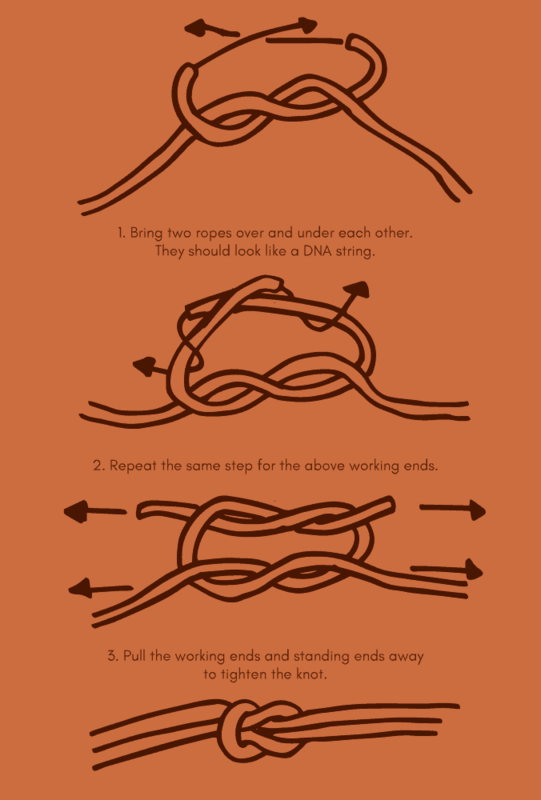 If you don’t want to memorize the steps to tie the knots, we’ve prepared a poster for you as a reference. 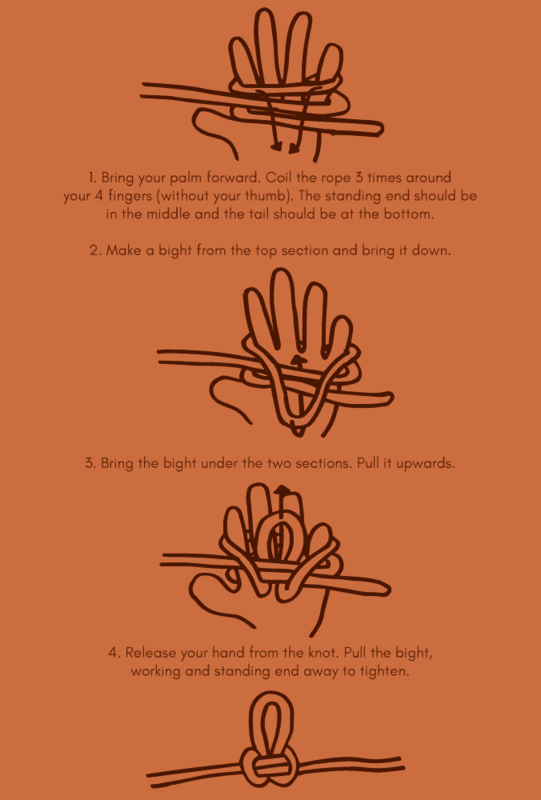 Print it out, bring it to your trip and feel the power of the knots! 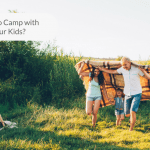 There are a lot of things to remember when going camping, and these are a few of the most common mistakes beginning campers make. We want you to be prepared for your next camping trip, so we’re providing a few examples of what not to do. Taking a good look at these examples will help you enjoy your next outdoor adventure! One of the top precautions to take when camping is keeping food and trash contained so wild animals like raccoons and bears don’t come sniffing around the campsite. All food should be stored in air-tight containers and never brought into a tent. Even the smell of gum wrappers can draw a bear to your tent, and that would be an inconvenient way to wake up! Heavy-duty plastic garbage bags are a helpful supply to bring along for storing camp trash. Some people keep the bags in the trunk of the car, but there’s always the possibility of animals scratching the car’s paint trying to get inside. 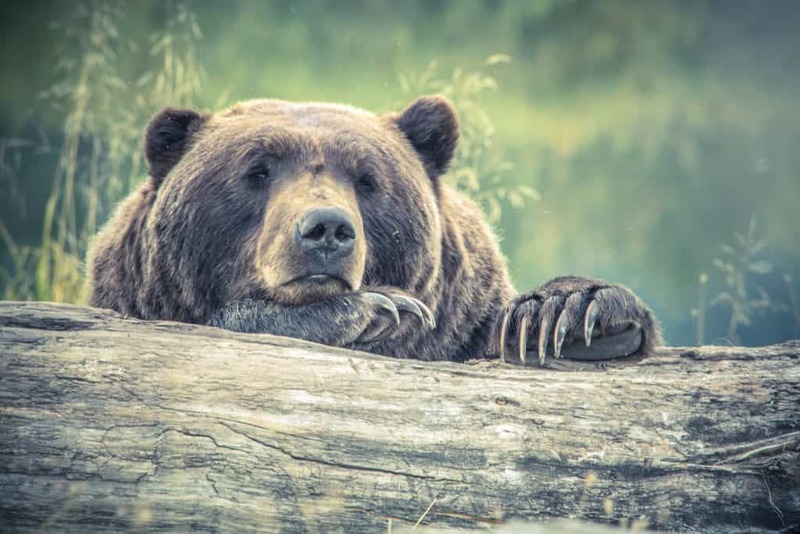 The two best options are keeping garbage in a locked trash storage bin provided by the campsite or in a ‘bear bag’ hung out of reach on a tree branch. It’s a good idea to put new batteries in your flashlights, radios and other small electronics before you leave on a camping trip. And be sure to bring along spares stored in waterproof containers. You’ll need at least one flashlight per camper and at least two battery-operated lanterns to see inside the tent and at the campsite at night. If you plan to bring cell phones, e-readers or other rechargeable items, be sure they’re fully charged when you leave home. You can buy a fairly inexpensive battery-operated charger to use for electronics, and the high-end models will even accommodate rechargeable batteries and provide light. No matter how well-stocked, your first-aid kit isn’t going to do you any good if it’s at home. One way to make sure you’ve got it with you on camping trips is to keep it in the car. That way, you’ll have it if there’s any kind of roadside emergency between camp-outs. Besides the usual items like bandages, gauze, adhesive tape, alcohol packets, insect repellent, sunscreen and basic medications, a first aid kit should also include a treatment guide. At least one member of your group should know how to perform CPR. The Red Cross and other community agencies offer first-aid and CPR training year-round at a reasonable cost. Do bring an emergency blanket because there’s a chance the temperature will drop so low that your body cannot handle it. Be sure and check the weather forecast, and find out if there are any known hazards in the area. A park ranger can tell you about the terrain and whether there are biting insects to look out for. Taking along plenty of food for a camping trip is a high priority. Remember that everyone will be more physically active when camping and need to consume more calories. A good rule of thumb is to pack 1.5 to 2.5 pounds of food for each person per day, depending on the amount of activity and the level of cold weather you’ll experience. In cold weather, people need more calories to stay warm, and in hot weather, each person will drink up to a gallon or more of water each day. It’s important that enough of the foods you bring contain protein for energy, so lean toward trail mix, beef jerky and protein bars as snacks. 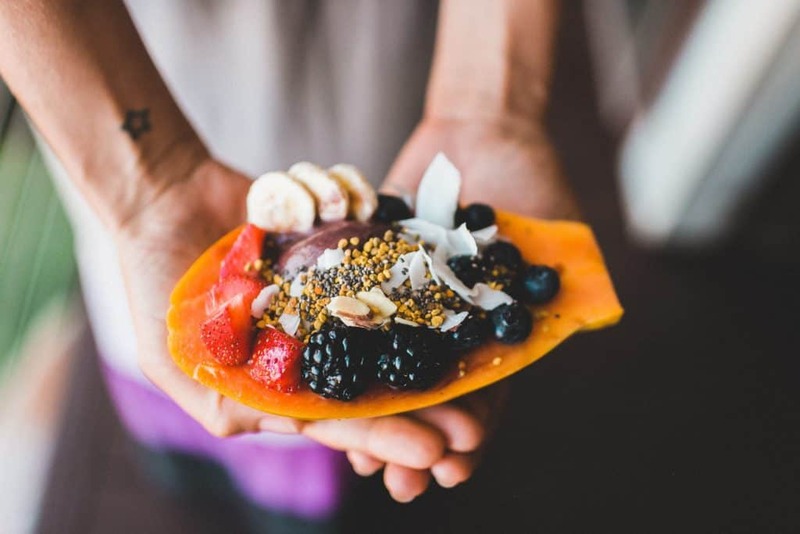 Sugary snacks will give you a temporary energy boost, but then there’s an energy drop that leaves you feeling tired. 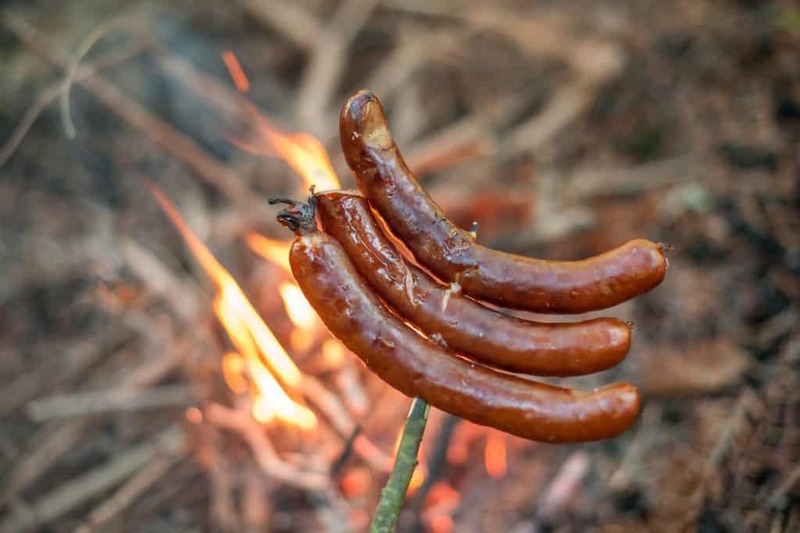 If you’re going to make camping a regular activity, it’s helpful to have a list of all the types of foods you bring that you can check off when shopping and packing for a trip. First of all, be sure and bring matches to your campout. Store them in the ubiquitous watertight container like so many other camping staples. Bring the Sunday newspaper, since tightly balled newsprint will help get a fire going well. And it wouldn’t hurt to bring a supply of small, dry sticks as kindling. Most people have a picture in mind of roaming the campsite, looking for the perfect branches to make a campfire. That usually works out well, but not always. There might have been a recent heavy rain that soaked all the available downed branches. Or you might just have bad luck and not find any firewood. To be sure about that roaring fire, your best bet is to bring your own wood. Rain gear is a camping basic when it comes to clothing, so don’t leave it out of your packing. You’ll need a rain poncho with a hood that fits over everything else and boots or galoshes to keep your feet dry. If it rains while you’re camping, you’ll be thankful to have these items along. Be sure and bring more socks than you think you’ll need since they’re likely to get wet. And don’t forget to bring several thick towels for drying off. Besides socks, one of the top items to bring is a pair of hiking boots or waterproof sneakers that will be comfortable the whole time. This is not the time to break in new ones, so make sure they’ve been worn several times first. You’ll also want an extra pair of shoes and clothing that’s suited to the weather. Moisture-wicking clothes are a must whether it’s warm or cold since you don’t want to be cold and clammy in the winter any more than you want to be hot and sweaty in the summer. You probably have a plan in mind of what you and your fellow campers will do while you’re there. It could include hiking, roasting marshmallows, playing outdoor games, etc. However, a heavy rain will eliminate all those choices. Make sure you bring some food that’s suitable for a main meal without having to be cooked. Set up a tarp when you make camp as shade from the sun, and it can do double duty if it rains as a place to prepare food and eat without getting wet. To make your extended tent time more enjoyable, think about what to do while you’re waiting for the rain to let up. Board games can pass the time as long as you remember the lantern and extra batteries. A cooler will work as a short table in the middle of the tent for your game board. Reading material and music will also help pass the time, along with small electronics. And this could be the perfect opportunity to tell ghost stories! 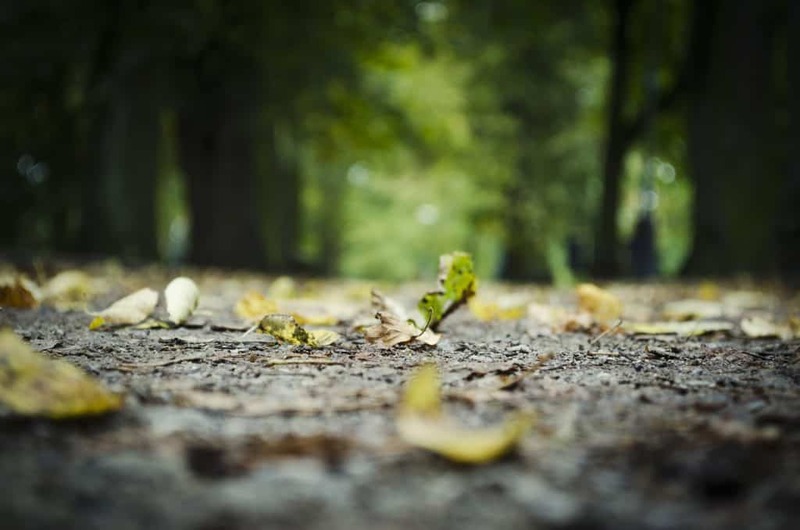 Rain, biting insects, and trail hazards won’t keep you from having a wonderful time in the woods as long as you prepare ahead of time. Even if you have to spend a lot of time in the tent because of rain, that’s a chance to enjoy the company of your friends or family. And you’ll get some down time that you don’t experience at home. If you cover all the bases, it will give you the peace of mind to be able to relax and enjoy the outdoors in all its glory. Now that you’ve gotten some information and tips for camping, it’s time to put them into practice for your own camping trip. There are so many good things about camping to enjoy. 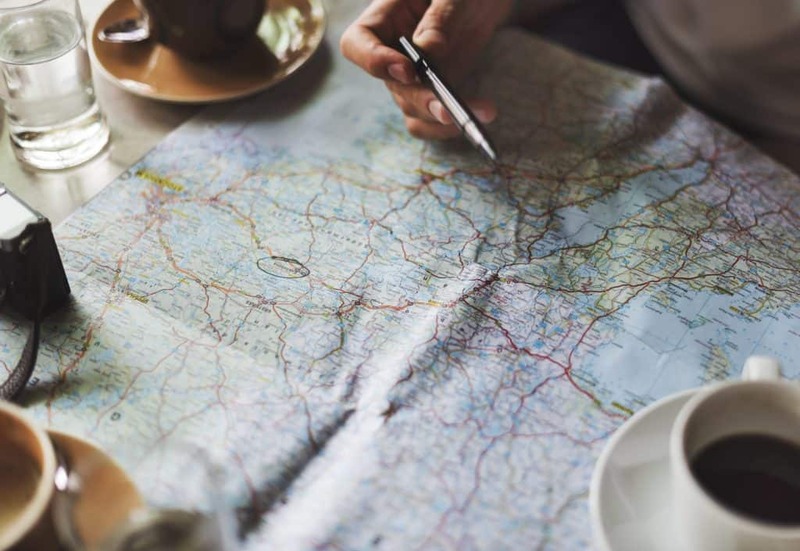 Once you take a look at the types of campgrounds nearby, buy your camping gear, pick out clothes for camping and make a list of foods to take, you’re ready for the adventure! 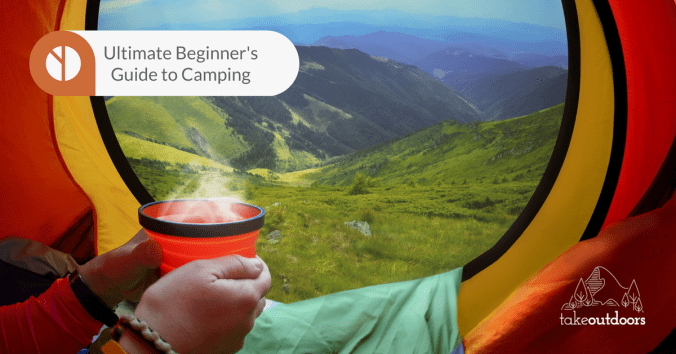 We hope this beginner’s guide to camping will contribute to a rewarding camping experience for you and your family. Oh, remember to clean up your campsite when you are done too! So… are you ready to start camping? Master the Art of Making Fire from Ice and Other Clever Adventures! Have a look at my post about camping, too! Interesting blog you have there John! Lots of creatively written fictions there so I’m surprised to see an article on family camping. I mainly write Fiction, but the prompt that week just got my depleted memory cells pumping and I had to pen that. 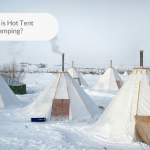 What is Hot Tent Camping?